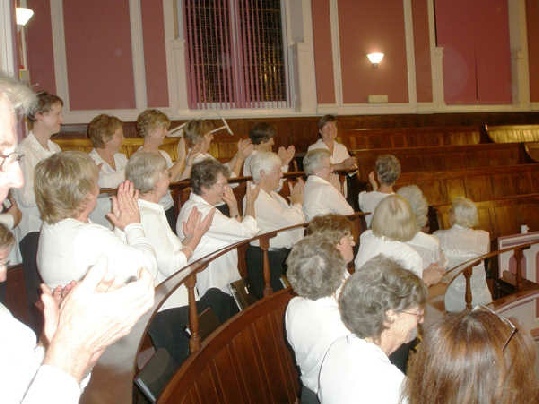 On Saturday evening, May 10th 2008, the Jersey Festival Choir presented their annual spring concert at St. Helier Methodist Centre. Once again we were sponsored by the ever-generous AIB Jersey, led by Joe Moynihan. The Choir was superbly prepared for the main work, Fauré’s “Requiem” by its new Choir Mistress Elizabeth Farnon. It is a testing work and the visiting conductor David Lawrence paid tribute to her efforts, and made the following comments after the event. Photo of Elizabeth Farnon receiving well-deserved round of applause. The main work, in the second half, was Requiem by Gabriel Fauré featuring Edward Price (baritone) and Flynn Le Brocq (treble) who we were glad to welcome, fresh from his Choral Scholarship to Uppingham, to sing the “Pie Jesu” in the Fauré.. The guest conductor for the evening, David Lawrence, has a long association with the Jersey Festival Choir. One of the UK’s most versatile conductors, his current posts include those of Associate Conductor of the City of Birmingham Symphony Chorus, Choir Leader of City of Birmingham Young Voices, Musical Director of Quay Voices (The Sage, Gateshead Regional Youth Choir) and he is a regular guest conductor of the Netherlands Radio Choir. He has also worked with the London Philharmonic Choir, the Hallé Choir, the Philharmonia Chorus and the New London Chamber Choir. 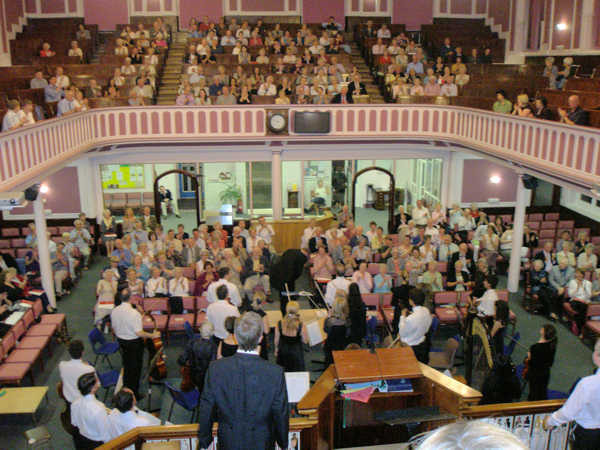 The Jersey Chamber Orchestra was formed only in 2007 as an extension of Music in Action, a group heavily involved with educational work with the youth of Jersey in association with the Education Department Instrumental Music Service. All proceeds from concerts are dedicated to charity. A retiring offering was taken after the concert. Edward Price, the baritone soloist in the Requiem, will also be performing in the first half of the concert. He was a member of the choirs of Clare and King’s College, Cambridge before joining the BBC Singers in 2001 and also appears regularly as a soloist throughout the UK. Edward has performed with many of the leading British orchestras including the BBC Symphony, Philharmonia and Royal Philharmonic. 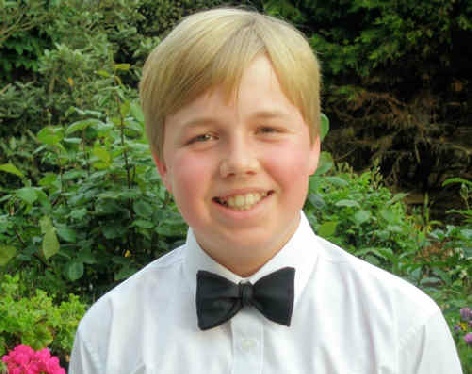 Flynn Le Brocq is no newcomer to the crucial treble solo in the Requiem, having sung it as a chorister at Carlisle Cathedral; he has also been a soloist at Ripon Cathedral. In 2006 he was the solo treble in the Festival Choir’s performance of Mendelssohn’s Elijah, alongside his father Mark as tenor soloist and with his grandparents Sally and Philip Le Brocq in the choir. Behind the scenes but very much in the public eye, Peter and Gillian Woodall, produced another of their superb Programmes, and Bob Barnsley and the rest of the Committee, by their concerted efforts during the months of rehearsal and preparation, enabled the whole evening to be such a success. Apart from the main works, Elizabeth Farnon scored a first for Jersey with the rousing opening to the concert, a motet for Ascension tide, “God is gone up with a shout!” by the American composer Ned Rorem. The remainder of the evening continued this celebratory start. A collection for the tragedy in Burma was taken at the end of the concert by members of the Side by Side Team, and Michael Wavell is most grateful to all those who contributed so generously. As a prelude to the concert, on Thursday evening, 8th May at St. Luke’s Church, La Route du Fort, there was an organ recital given by Julian Wilkins. This included Fantasia and Fugues by Bach and Liszt, Widor’s Adagio and Toccata, Elgar’s Pomp & Circumstance and two pieces by Handel. Generally he played light classics and other music suitable for the eve of Liberation Day. Julian was in Jersey in support of David Lawrence, guest conductor for the Saturday concert, as accompanist and repetiteur. Julian pursues a successful freelance career as performer, conductor and teacher, working throughout the UK and overseas with many leading choirs, including City of Birmingham Symphony Orchestra and Chorus. His teaching commitments include working with David Lawrence at the Canford Summer School of Music.